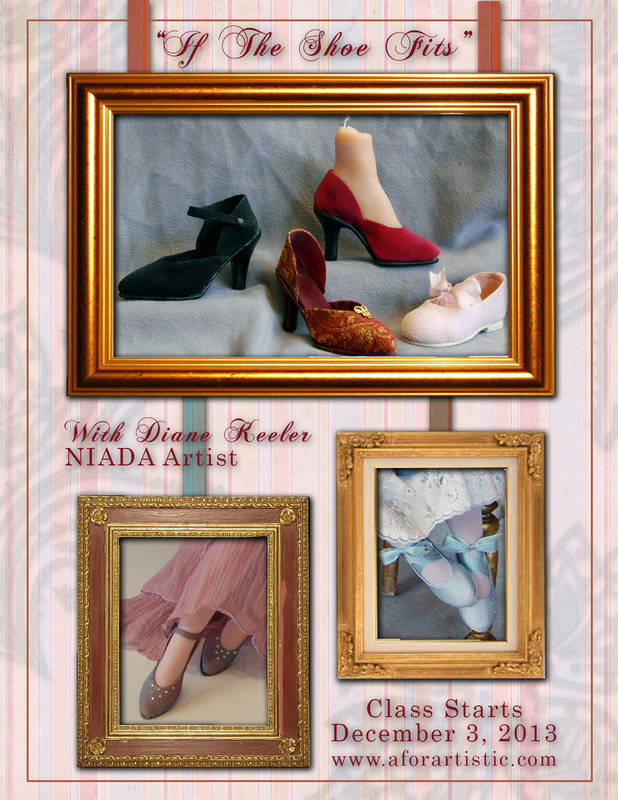 I teach a variety of classes through www.aforartistic.com. If you click on the image it will take you to my current class description. Hope to see you in class. I'm so pleased to be able to offer this series in Sculpting a complete Child doll. For years I have been asked to do a complete doll so for the first the time I'm offering sculpting a child class. I will be thrilled if you can join me. The series will start with sculpting a Child's head. Showing options for creating any size doll you wish. The doll I will be sculpting will be about 14 inches complete. Her name is Annabel. Below are past classes which will run again at a future date. Contact Adele at www.aforartistic.com if interested. Students will sculpt a small child’s head and bust. This class is actually four classes in one. Sculpting the head and bust, Painting the eyes, making a wig and building a base. This is a step by step process so student will be able to take my technique and make it their own. Once completed students will have a standalone sculpture. Downloadable pdf’s of all of the chapters and photos of children are included in the lesson. Learn my technique for sculpting a child's torso. This is the companion class to "Sculpting a Child's Bust." The torso is for a four year old child, how to do a torso for a standing child, how to do any position you wish with a little tweaking. And, how to attach a stationary head and then the secret to making a movable head for the torso. I'll shares my secret of how I creates eyes for my dolls and sculptures. The technique is not very difficult, but like anything else, it takes practice. This technique can be used for glass, polymer and molded eyes.